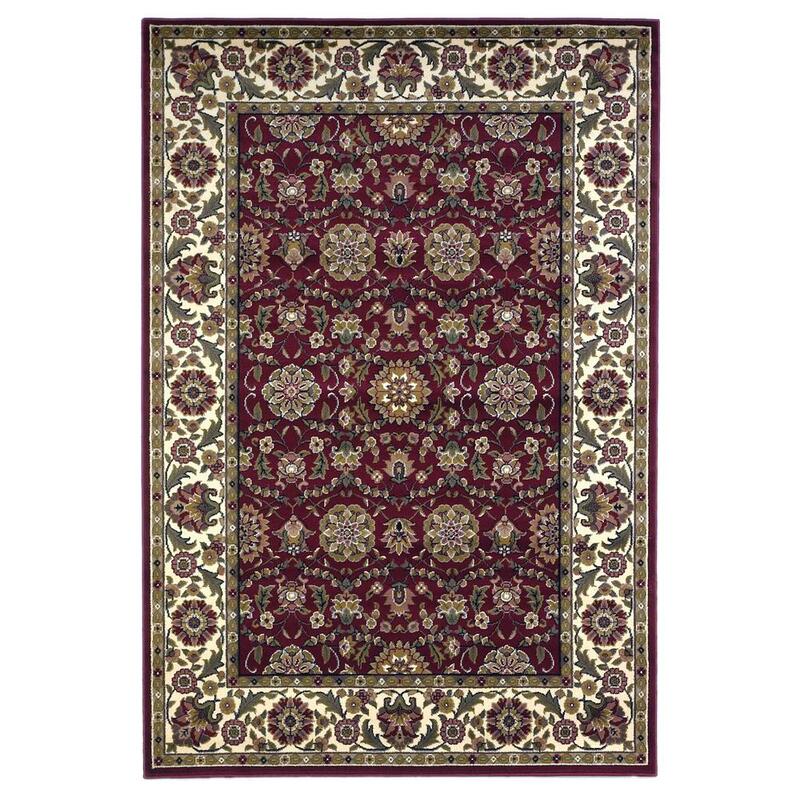 Cambridge 7306 Red/Ivory Floral Agra 7'7" x 10'10" Cambridge 7306 Red/Ivory Floral Agra 7'7" x 10'10"
Our Cambridge Series is machine-woven in China of 100% heat-set polypropylene. This line features a current color palette in classic and transitional patterns providing a well-designed and durable rug at a very affordable price point. Our Cambridge Series is a fashion leader in its class. Cambridge 7306 Red/Ivory Floral Agra 7'7" x 10'10". Machine-Made of 100% Heat-set Polypropelene with No Backing. Made in China. Vacuum regularly & spot clean stains. Professional cleaning recommended periodically. Care Instructions Vacuum regularly & spot clean stains. Professional cleaning recommended periodically. Sparta 3180 Ocean Paradise 7'9" x 9'6"